Battle of Lobositz: Frederick the Great’s first battle of the Seven Years War against the Austrians fought on 1st October 1756: an unsatisfactory victory. Battle of Prague: Frederick the Great’s second victory over the Austrians in the Seven Year War in a confused and expensive battle fought on 6th May 1757. Battle of Kolin: The disastrous defeat of Frederick the Great by the Austrians on 18th June 1757: caused by Frederick’s overconfidence. Battle of Rossbach: Frederick the Great’s victory fought on 5th November 1757 over the French army of Prince Soubise and the Reichsarmée. Battle of Leuthen: Frederick the Great’s overwhelming defeat of the Austrian Army in one of the major battles of the 18th Century fought on 5th December 1757. Battle of Zorndorf: Frederick the Great’s Pyrrhic victory over the Russian Army fought on 25th August 1758. Battle of Hochkirch: Frederick’s defeat at the hands of the Austrians fought on 25th October 1758. 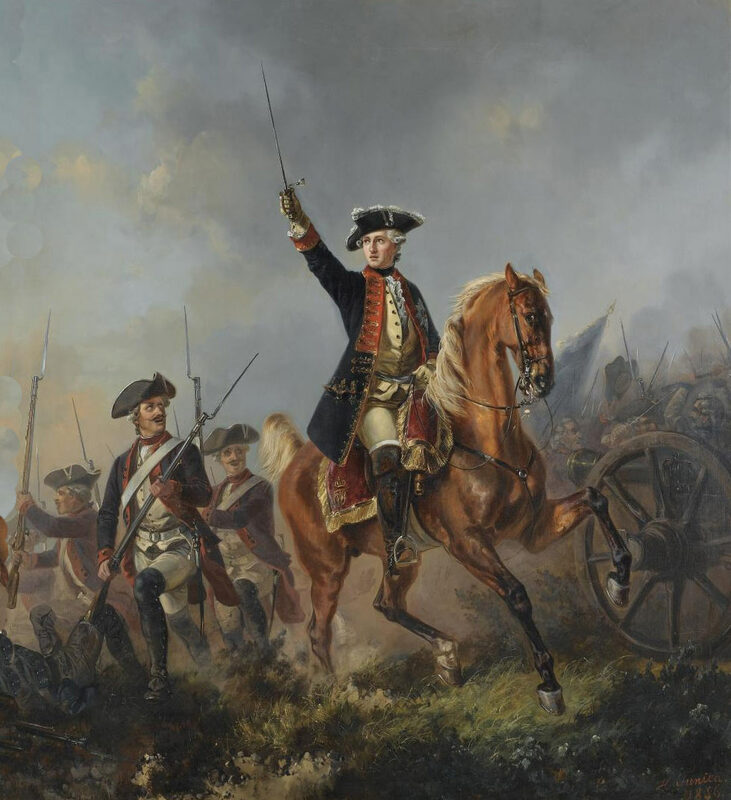 Battle of Kunersdorf: Frederick’s heavy defeat at the hands of the Russians fought on 12th August 1759. Battle of Liegnitz: The battle that saw Frederick the Great escape from overwhelming odds on 15th August 1760. Battle of Torgau: Frederick’s victory over the Austrian and Saxon Army of Marshal Daun that brought the end of the Seven Years War in sight fought on 3rd November 1760. Battle of Burkersdorf: Frederick the Great’s final battle of the Seven Years War fought on 21st July 1762. Battle of Minden: An iconic victory for the “Minden” Regiments who advanced to battle with white roses in their hats, plucked from the hedgerows, and repelled the attacks of French cavalry fought on 1st August 1759. Battle of Emsdorf: The British victory over the French with the 15th Light Dragoons making their name fought on 14th July 1760. 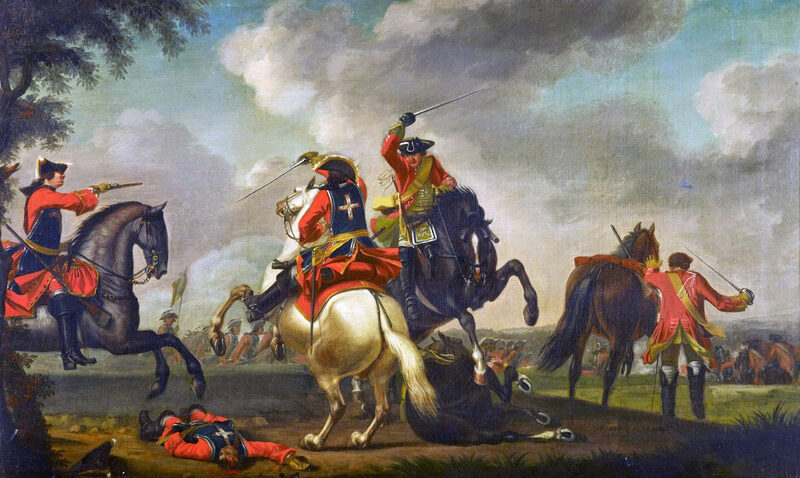 Battle of Warburg: The striking victory of the British cavalry led by Lord Granby over the French fought on 31st July 1760. Battle of Kloster Kamp: The French victory over the British and their allies fought on 15th October 1760. Battle of Vellinghausen: The Archduke Ferdinand’s resounding defeat of the French fought on 15th July 1761. Battle of Wilhelmstahl: The Archduke Ferdinand’s victory over the French fought on 24th June 1762. Capture of Manila: The capture of Manila by the British on 6th October 1762 possibly Britain’s most successful amphibious operation.